Hope Church and Speak have a long-standing relationship and we were excited to work with them on the recent rebranding of their website and app. In the redesign, Hope aimed to broaden their reach to appeal to a new generation of church members. Through photography centered on millennials, Hope's website provides a glimpse of what worship there is like. 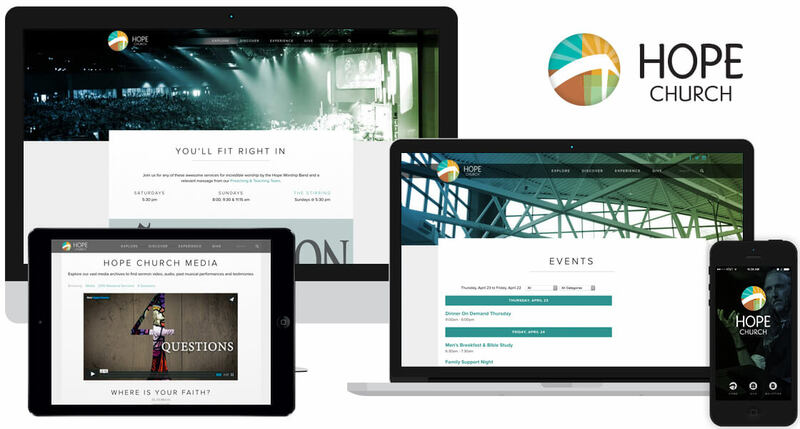 The Everchurch platform allows the ministry team at Hope to promote upcoming sermon series, concerts and events; share sermons and worship services easily; and more through the media archive. Speak also works closely with Hope Church through social media consulting and other ministry website development projects. We are happy to be a partner in the work they do for Memphis.